Who can understand your needs better than you? Probably nobody. That is why Roca invites you to unleash your creativity and design the ideal bathroom for you and your family with the Inspira collection. Three shapes, multiple combinations, ample possibilities. The inspired Inspira collection consists of three lines: Round, Soft, and Square. From three basic elements, you can create a bathroom of your personal style with great ingenuity and exquisite taste. The three lines satisfy your boundless ideas for the bathroom: Products of Inspira Round add soft, sophisticated and winding style to the space; Inspira Square, instead, reflects a minimalist, sober and precise character; Inspira Soft is the result of the fusion of Square and Round, which increases the aesthetic options. 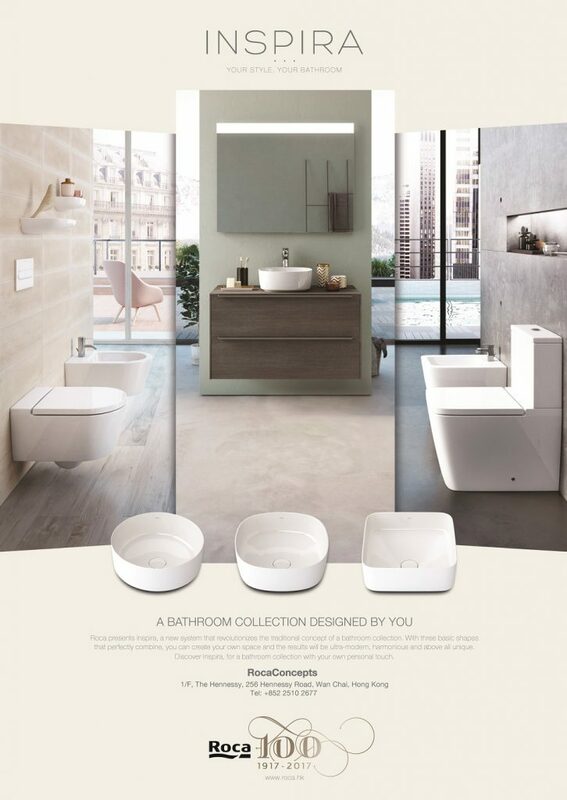 The Inspira collection provides you with a vast range of products: washbasins, toilets, bidets, storage units, and other bathroom accessories, which give you a large variety of choices, yet still create a harmonious space when put together. Also, thanks to the new FINECERAMIC technology, the washbasins of the collection have thinness only at 5 mm, while being 40% lighter and 30 % stronger than tradition basins. 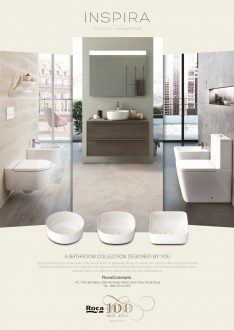 Inspira is a revolutionary collection for the bathroom space. With three basic shapes in beautiful design, you enjoy the freedom to create a bathroom with your personal touch, and it is still as stylish, harmonious, and unique as you can imagine.